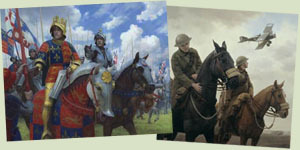 Over the past twenty years Graham Turner has been commissioned to create paintings for over sixty books published by Osprey, the well known military book publisher. On publication the originals are returned to Graham for resale, and many have found new homes with collectors of military art. Because Osprey have already paid a fee, Graham is able to price these paintings considerably lower than he would usually charge - a more affordable way to acquire a unique piece of original art. 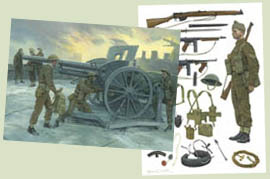 This section details all his available Second World War paintings, organised under the book titles they appear in. Click on the image or title for full details of all the paintings from each book. The Luftwaffe's operation to destroy RAF Fighter Command in the summer of 1940, and enable an invasion of Britain: three paintings by Graham Turner from this new Osprey book. Three paintings by Graham Turner from this book about the Italian and German campaigns against the British-held Mediterranean island of Malta. 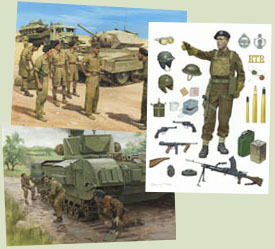 Three paintings of the famous second World War tank battle on the Russian front. Subjects include the new German Panther tanks struggling in the mud, German Pioniere clearing a path through a minefield, and Soviet T34s attacking Waffen SS forces. 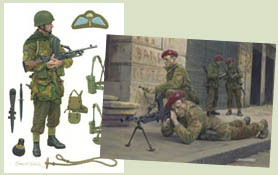 Six paintings of the British Airborne operation to capture the bridge at Arnhem. 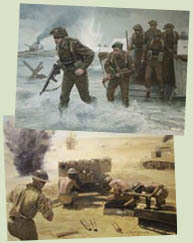 The Commandos, one of the most famous fighting units of the Second World War, is the subject of this Osprey book containing eight paintings by Graham Turner. Click on the image or title for full details and images of all these original paintings, which are now available for sale. 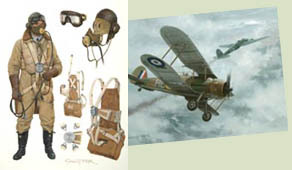 Original paintings showing RAF fighter pilot's uniforms and equipment - and aircraft in action from Norway to the Battle of Britain. 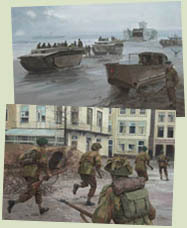 One of the last major amphibious operations of the Second World War, the Allied landings on the island of Walcheren in November 1944 are depicted in these paintings by Graham Turner. 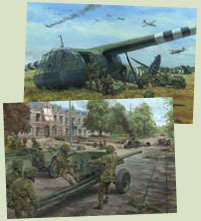 Three full colour paintings by Graham Turner from the Osprey book about Field Marshal Bernard Montgomery. 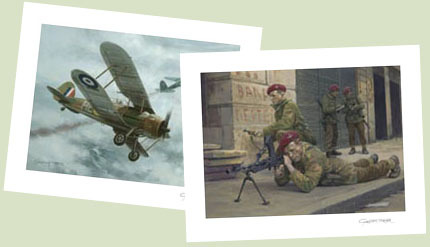 Graham Turner is able to produce high quality giclée prints from most of the Second World War original paintings detailed in this section. Each print is individually produced by the artist himself, ensuring excellent quality and a picture that is the next best thing to owning the original itself. Prints are available in a choice of sizes, and each print is personally signed on the border by the artist. Studio 88 also publish a large range of Aviation prints by Michael Turner, with prices from £17. 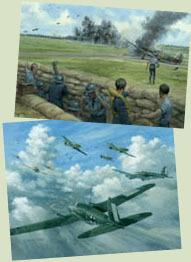 See our Aviation Art section for full details. CLICK HERE for details of Graham Turner's Motor Sport original paintings.